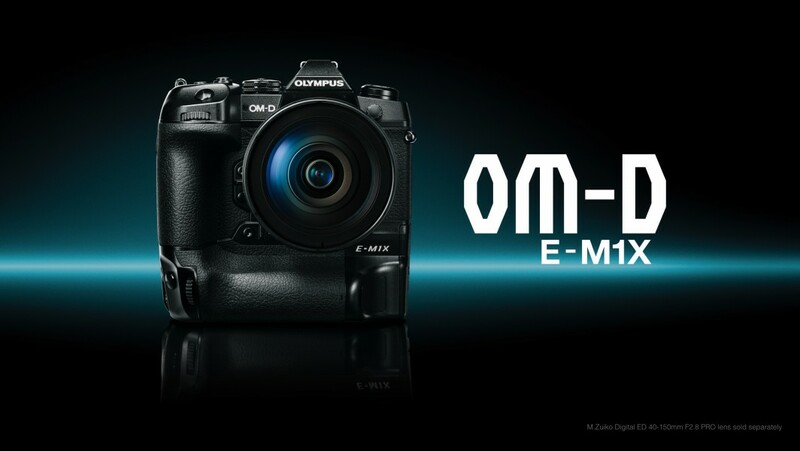 So the NEW Olympus OM-D E-M1X is here. This camera is “off the charts”. I am super excited to share some imagery from this camera with a special focus on the internal ND filters and Hi-Res modes as well as a few other new features in the camera.”The E-M1X is packed with innovative tech, like world-leading image stabilization, AI-based Intelligent Subject Detection AF, and a handheld ultra-high resolution shooting mode” as Olympus shares on their site. Everything I love about the Olympus system just got ratchet up to the next level. Overall the new camera has taken all of the key features of the Olympus system to the next level and beyond without adding any significant weight to my travel bag. As an avid outdoor and photojournalist photographer, this latest release is AMAZING! Check out a few of the images. Thinking of converting to the Olympus system – NOW is the time!!! A few weeks ago I had the opportunity to visit Death Valley. 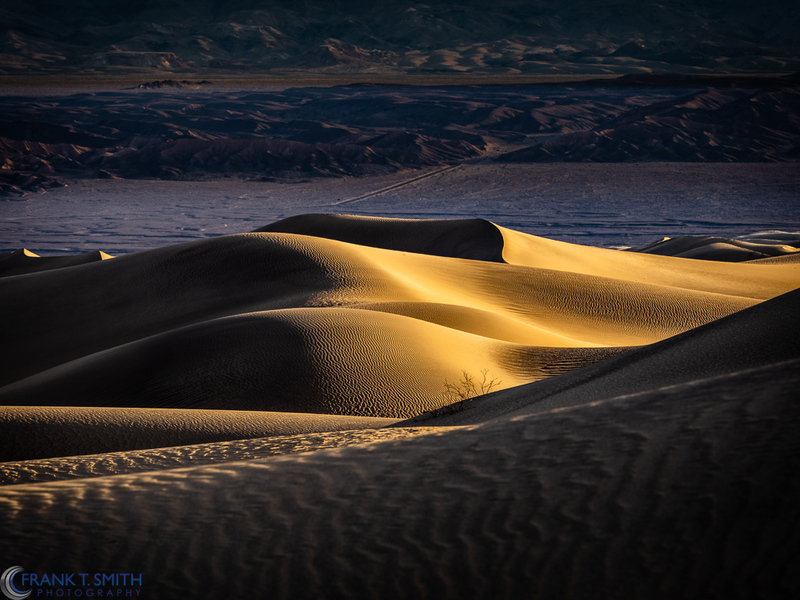 For those of you that follow me, you know that the desert landscape is one of my favorite photography options. 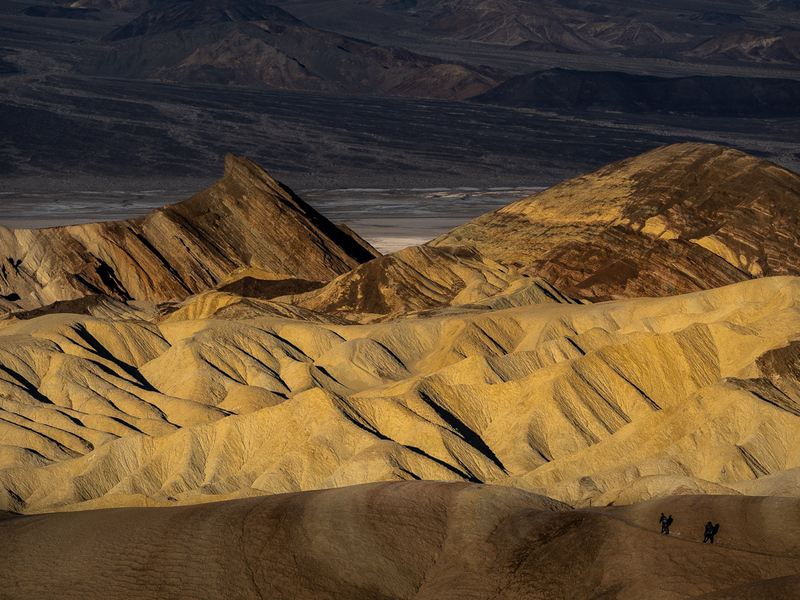 Death Valley did not disappoint – we even had a few surprise rain storms that created some amazing photography opportunities. 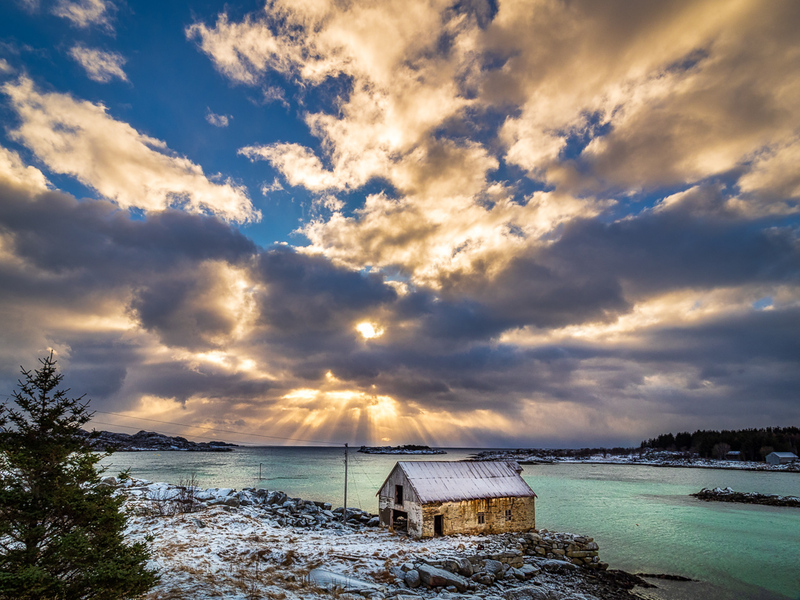 Here are a few images from the trip using the new Olympus OM-D E-M1X. The first shot is handheld in high res mode using the M.Zuiko 40-150mm f2.8 PRO lens. The settings were ISO 200, 150 mm, f/7.1, 1/400th sec. The second shot was with the same lens, ISO 200, 106 mm, f/8.0, 1/1250 sec. Yes it has been a little cold here in the northeast with snow and ice covered trails. I never mind the cold temps if it means capturing nature in a semi-frozen state. 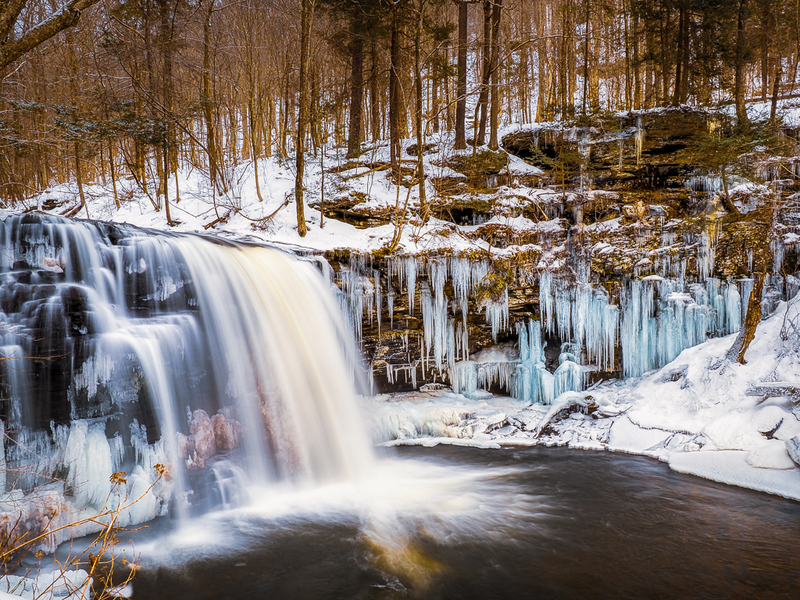 With proper attire and boot crampons, I went to Ricketts Glen and the Delaware Water Gap chasing waterfalls. Temperatures averaged about 18-20 degrees. 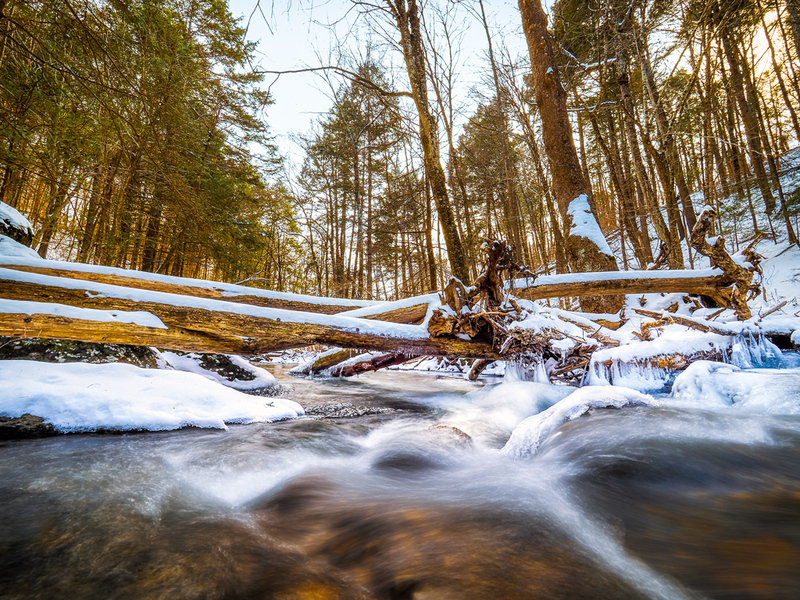 The first shot is from Ricketts Glen taken with the new Olympus OM-D E-M1X using the M.Zuiko ED 12-100mm f4.0 IS PRO lens. 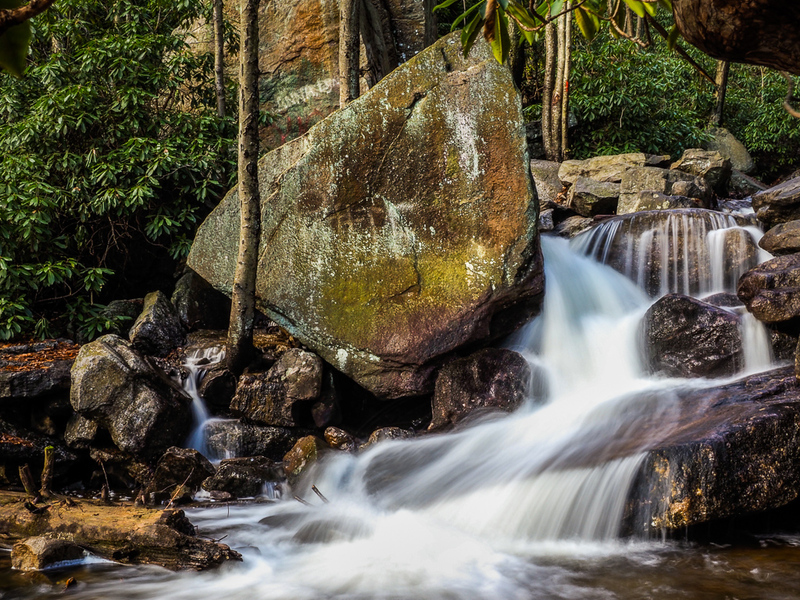 The shot was taken handheld for 1.6 seconds and utilizing the built in ND Filters in the camera. The second shot is from the Delaware Water Gap. 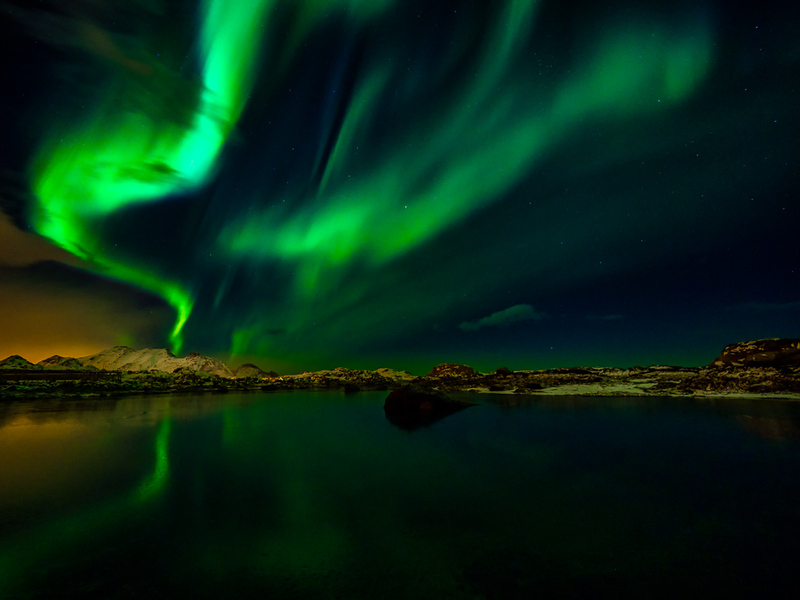 This shot was also taken handheld at 0.8 seconds using the M.Zuiko 7-14mm f/2.8 PRO lens. I really enjoy presenting my work and techniques to local photography clubs and it is always great fun to present to my local photography club. 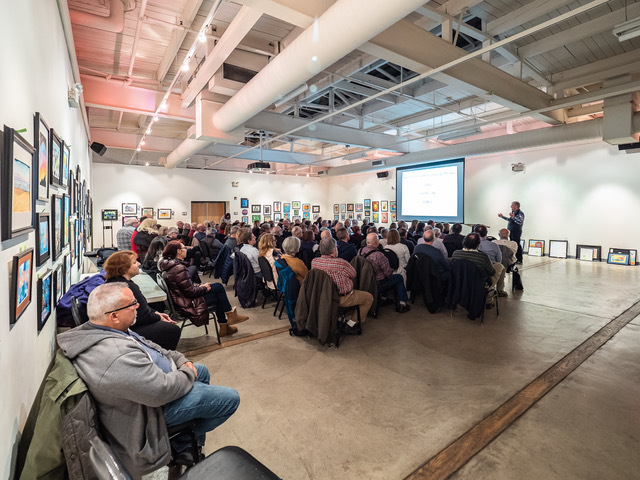 Last week I got to share my presentation of my Nordic travels sharing with a “full house” crowd my travels to Iceland and Norway. In my presentation I introduced some video elements helping to show the audience the environment and the various opportunities for good shots. Here are a few images from the presentation, both of which were taken with the Olympus OM-D E-M 1 Mark II using the M.Zuiko 7-14 f 2.8 PRO lens. The settings for the first shot were ISO 200, 8 mm, f/11, 1/160 sec. The second shot settings were ISO 640, 7 mm, f/2.28, 6.0 sec. As an Olympus Visionary, I am encouraged to always be on the lookout for Olympus shooters. 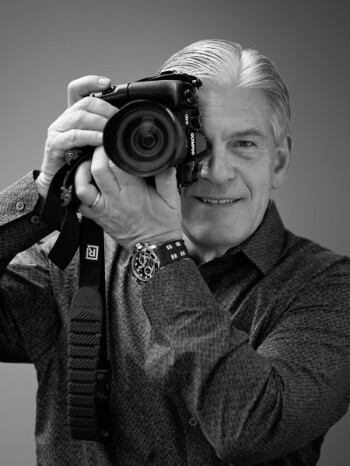 Olympus likes to feature Olympus users on their social media channels – especially Instagram. I have several presentations and workshops coming up over the next few months that offer instructional content as well as hands on workshops. Please check out the links below to see if you can join me. The shot was taken at Glen Onoko falls with the Olympus OM-D E-M1X handheld using the internal ND filter with the M.Zuiko ED 12-100mm F/4.0 IS PRO. The camera settings were ISO 200, 12 m, f/2.0, 1/3 sec. Interested in booking a talk or workshop? Visit my website by clicking here.